Crispy Baked Zucchini Spears make a wonderful holiday appetizer or weeknight side dish your kids will enjoy. 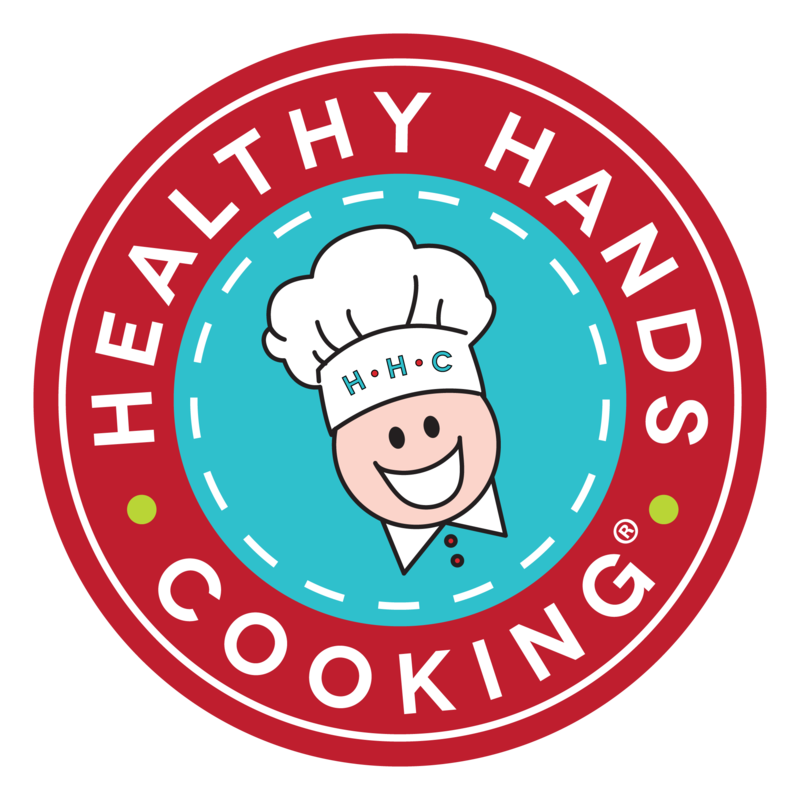 Try this healthy recipe and visit Healthy Hands Cooking to learn about our instructor opportunity and healthy cooking classes. Cut ends off of zucchini. Cut zucchini in half making two logs. Place flat side down, and cut 5 more times creating 6 spears from each half for a total of 24 spears. Place whipped egg whites in one bowl. Place Panko, salt and pepper in another bowl. Dip each zucchini spear into egg whites and then Panko covering generously. 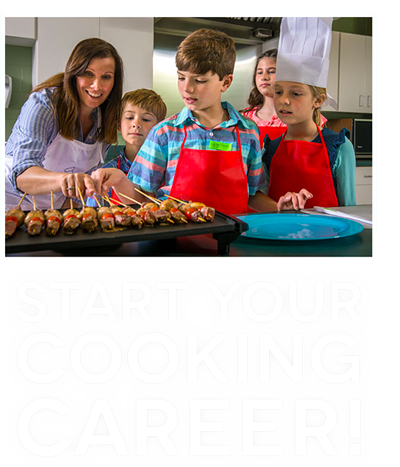 Place spears on a cookie sheet lined with parchment paper. Spray the spears with butter flavored non-stick spray. Bake on the lower oven rack for 8-12 minutes until spears are brown and crispy on the outside. Mix Ranch dressing and salsa to form a dip. 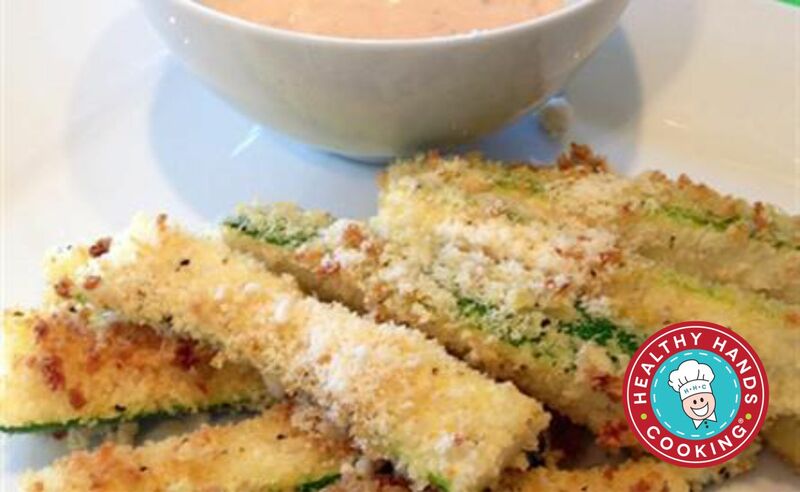 Serve Crispy Baked Zucchini spears with dipping sauce.